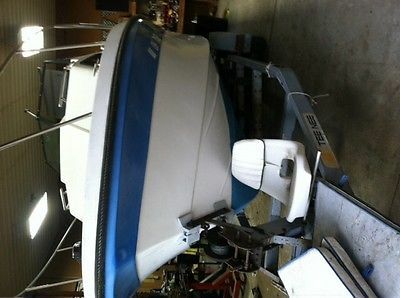 2003 Seaswirl 2301WA, This 2003 Seaswirl Striper 2301 CC WA is a great Seaswirl package. 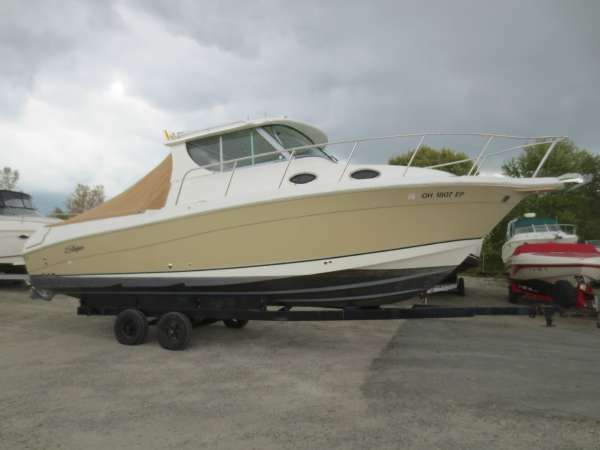 This package comes complete with a large cuddy cabin and sleepers, bow rails package, swim platform and ladder and 2 pedestal box seats w/storage. 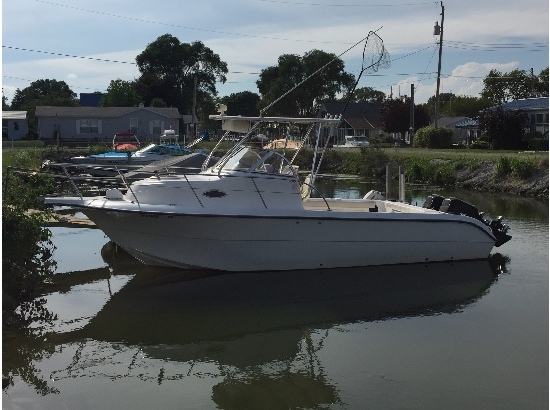 Full electronics including Radar, and a Windlass! Trades considered. 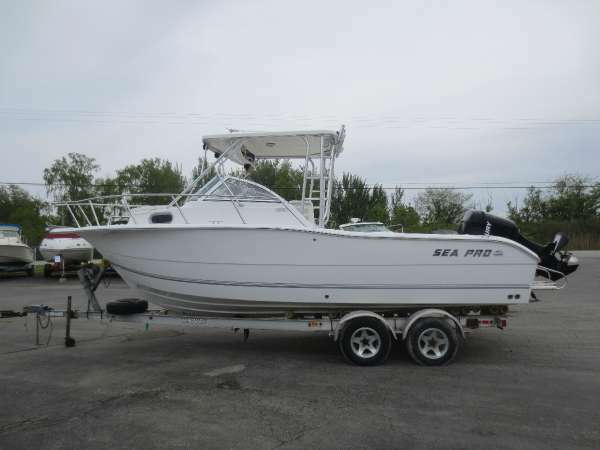 2000 Seamaster 2388WA Well maintained boat just in time for fall fishing. Loaded with equipment. 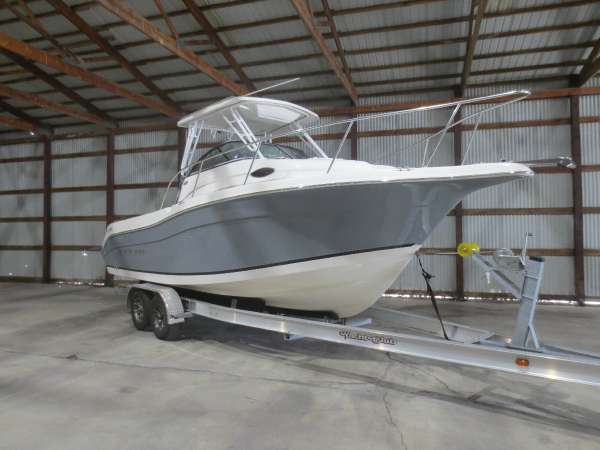 1997 Wellcraft 240 WAC The 240 Walkaround Console has a Mercury 225 EFI outboard motor with a powerful 225 horse power backing. Plus it comes with a Tandem Axle trailer. Call today for more information. - Includes Trailer. 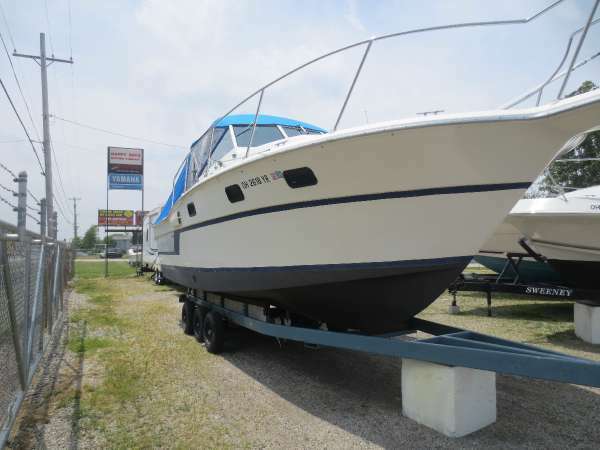 1987 Aquasport 290 The 290 has Twin Mercruiser 7.4 inboard engines with 350 horse power and with only 483 & 489 hours on them. 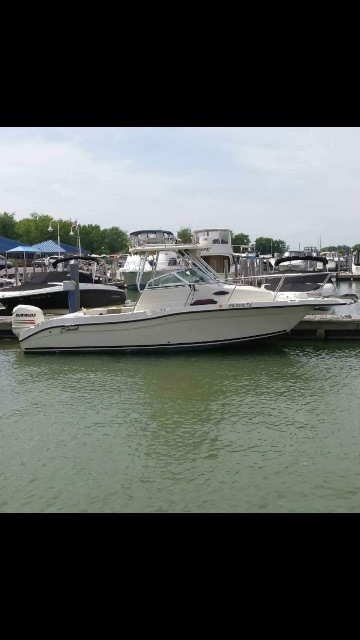 Includes Sides/Aft canvas, GPS, Fish finder/Depth finder,VHF/Radio, Compass, Stereo, Bar/Console, `Range`, Refrigerator, Anchor, Dual Batteries, Trim Tabs and a Swim Platform. Call today for more information. - REDUCED EVEN MORE!-Nicely Equipped! 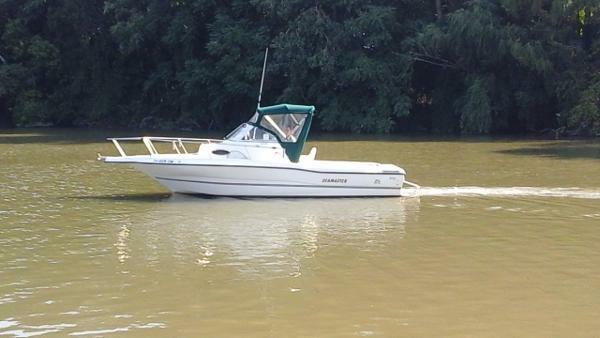 This a great boat that needs some TLC! The cover blew off over the winter , so there is some cleaning that needs done! The floor is solid as a rock! Tramsom and stringers are good! Cabin cushions are in good condition also! Cockpit seats are in good condition . The seat you see on the front of the trailer is one of the seats for the cockpit, they are both in very good condition! Alpha One Outdrive, 305 V-8 ( needs replaced due to cracked block), has pump out head, sink and V birth! Heavy duty tandem axle roller trailer with all new bearings and new tires, takes 2 5/16" ball, surge brakes do not work ( I preffer to replace them with electric brakes), trailer will haul a 30' boat! Sold as is! Always used in fresh water here on the Great Lakes! 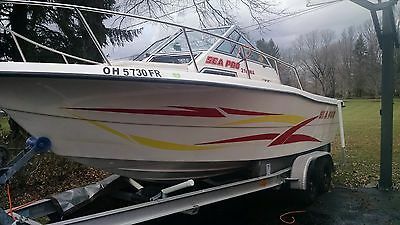 Clear title for boat! 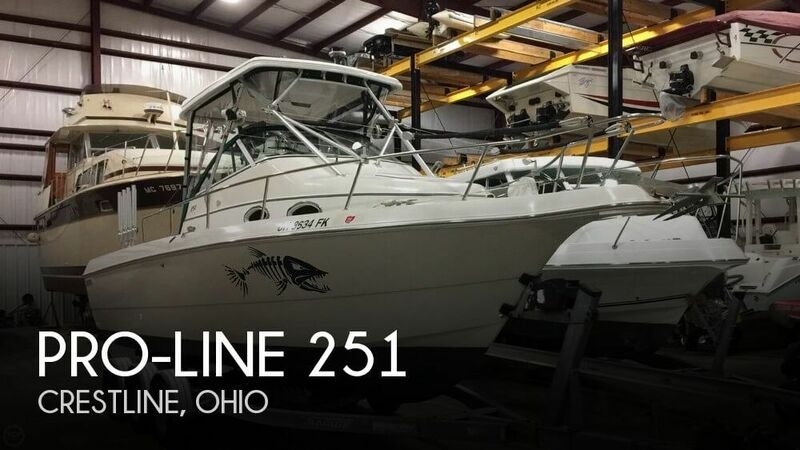 Bill of sale for trailer! Ohio dosent require titles for trailers!The trailer is worth $2000.00! 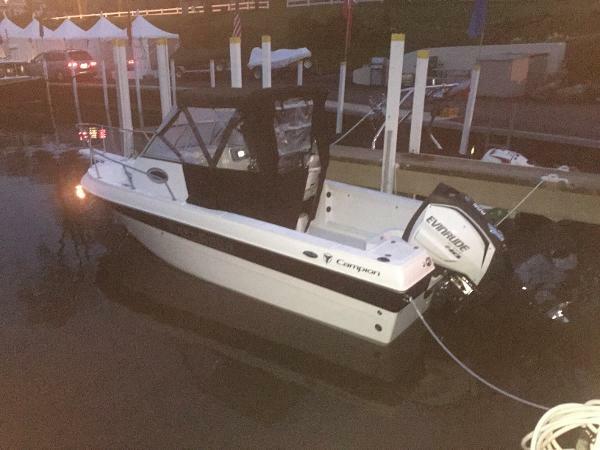 Retail value for this package is $7000.00 - $8000.00 in running condition! On Jul-15-15 at 04:53:07 PDT, seller added the following information: Bidders with "0" feedback must contact me before bidding, or your bid will be canceled!